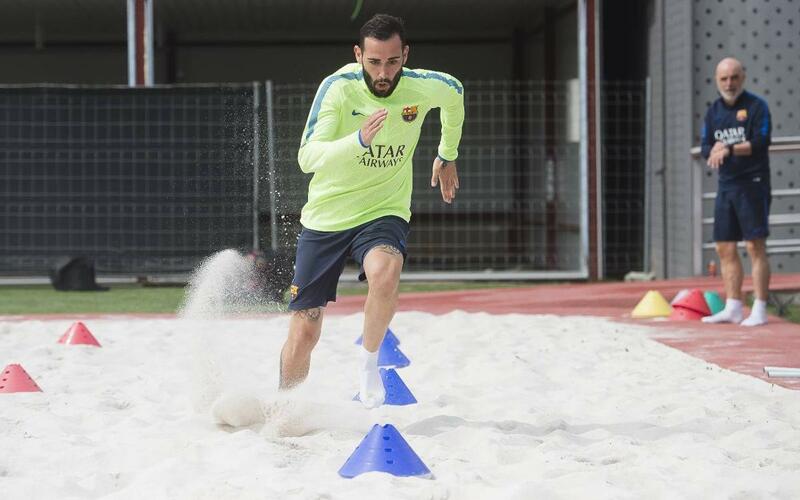 The story of Aleix Vidal’s rapid recovery from a dislocated ankle to make it back in time for FC Barcelona’s final game of the season epitomizes the idea that everyone’s body responds differently to injury. The quicker-than-expected return of the Barça fullback, which came just 105 days (three months and 16 days) after he went down, shattered the initial five-month estimate, allowing Vidal to make an appearance in the season finale — the Copa del Rey final against Deportivo Alavés on May 27th. Ironically, Alavés was the very same team against which Vidal was injured. The Barça defender left the field on a stretcher after making a tackle in the 87th minute of Barça’s 6–0 league win in Vitoria back on February 11th. At the time, it was a serious blow to Vidal, who had been battling for increased playing time all season long, and had just turned a corner in the eyes of manager Luis Enrique Martínez. Vidal may have been down, but he was not out. The hard work paid off, culminating in Luis Enrique’s decision to bring Vidal on for Ivan Rakitic in the 83rd minute of the Cup final at the Vicente Calderón Stadium in Madrid. As you can see in the following video, the 27-year-old fullback gave it everything he had to rehab his injury and put himself in a position to help Barça close out the season with a third straight Copa del Rey title, thus bringing a fitting end to his trying ordeal.